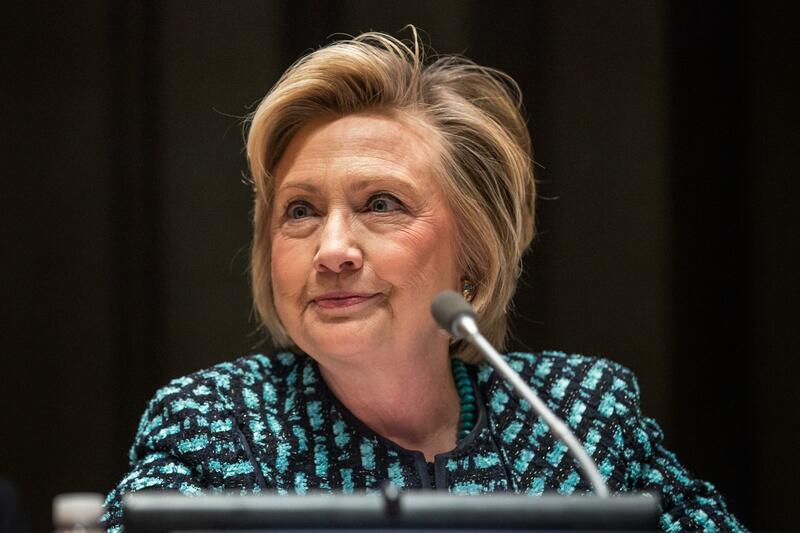 Hillary Clinton '16: There's no evidence liberals will reject her. As if any of you liberals won’t vote for me. Chris Cillizza writes that a Democratic primary without Hillary Clinton would be “chaos,” with “no obvious frontrunner” and a “scramble” for talent. “Chaos” is one word for this; another word is “fun.” Clinton’s utter dominance of the Democratic Party’s future is a bit boring to cover, but it’s good and a little Capra-esque to ask what would happen without her. I’m just lost at the reference Cillizza makes to a possible Elizabeth Warren candidacy. A hero among liberals, who don’t love Clinton and never will, Warren is the sort of anti-corporatist, anti-Wall Street populist that many Democrats thought they were getting with Obama. OK, take for granted that there are loud progressive voices (Adolph Reed, Bernie Sanders) who think the Democratic Party lost its way under the Clintons and Robert Rubin. 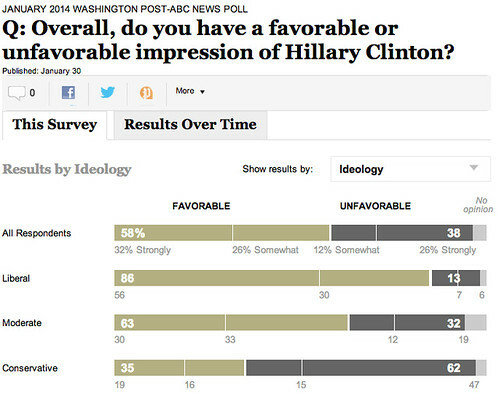 But let’s check the last Washington Post poll of public figures, one that the Fix published with the headline “Hillary Clinton is the biggest frontrunner for the Democratic presidential nomination ever. 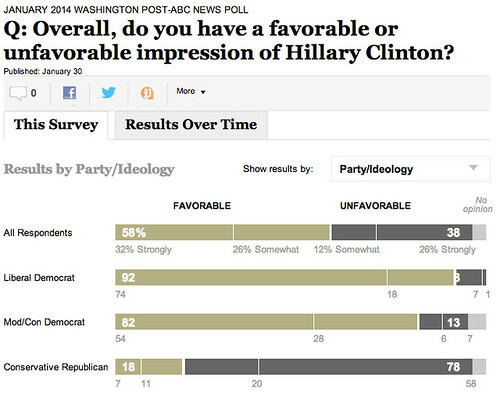 Yes, ever.” What do liberals think of Hillary Clinton? Seems like they like her. What about liberals who’ll vote in the primary? Seems like they like her even more. Sigh, another boring primary. You might think that the Jeff Thompson trial, and the revelation that a Clinton donor might have broken the law with business plans for off-book “street money,” would cause Democrats to reconsider Clinton. But there’s no sign of the sort of nervous teetering that’s followed Chris Christie’s scandal. Tribalism comes into play here—Democrats remember how they felt when the Clintons were at the focus of a yearlong impeachment and multiyear investigation, and they are inclined to defend them. Even if they’re liberals.